“Nature is truly magical. All the plants and trees existing on the planet Earth are having some or the other distinctive medicinal property. There are numerous solutions available in organic farming for all the problems. Our integrated farm became profitable only after we turned our back on the market! 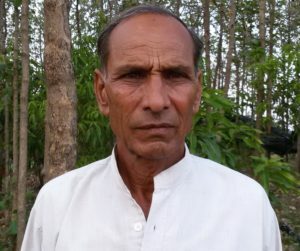 This implies after we started preparing all the agri inputs on the farm our profits escalated,” affirms Mr. Arjun Patidar, progressive farmer from Mandsaur district, Madhya Pradesh. We were doing conventional farming till 2003. As it was highly expenditure intensive and the income was marginal we decided to reduce our expenses by preparing various agri inputs from the ingredients sourced in and around our farm. Our second aim was to increase the carbon content in the soil. We started the conversion process patch by patch and by 2013 all our four farms became 100% organic. Our first introduction towards organic farming practices was through vermicompost. We learnt about it from an experienced agricultural officer in our village in 2003 who gave vermi-earthworms for free in five farms including our farm. Since then the worms are getting consistently multiplied and now the number has become uncountable. We also make compost from farm residues and waste as well as biogas slurry. In our bio gas unit, we add dung of desi cows and buffaloes. The biogas produced is used in our home while the slurry is used for making vermicompost and as manure. Our farms have a forest alike environment where there are trees all around so farming is resourceful. We nourish the soil and prevent the crops from harmful pests and diseases by spraying different bio-solutions. We have learnt to prepare the bio-mixes either through our own experiments or knowledge share from the organization called as ‘Saket’. These sprays are prepared using leaves of different varieties of herbs, plants and trees on our farm. We have many neem trees in all our farms so we get huge quantity of leaves and fruits (nimori). The fruits are dried and grinded into powder to be mixed in the manure while leaves are used in sprays. Other important medicinal trees we have are moonflowers (called Daturai in Hindi) and Calotropis Procera (called Akda in Hindi) trees. With these medicinal trees we are self-sufficient. Everyone likes to eat only tasty food and if the taste of food is not good then no one touches it. We use this same principal to manage pests in farming. If the crop is infected with pest then we change the taste of the food by spraying decoction of sour medicinal plant like neem, dhatura or aakda. If still the pest hangs on the crops, then we use Pheromone tapes with yellow and blue boards. Organic farming is completely depended on desi cows so it was mandatory for us to have the cows. Our grandfather reared ‘Malwai’, native desi cows of our region and buffaloes too. We continued with the same breeds till date in our farm. There are 5 cows and 15 buffaloes in the farm. Cows and buffaloes are fed with suitable farm waste, azolla, green and dry fodder. The cow urine is used for preparing bio-pesticides while dung is used in the biogas unit. Approximately in one year 50+ trolley manure/compost is prepared from the cattle. Apart from using farm-made agri inputs, another big change done in the farm was to grow multiple crops. Earlier in our farm we used to grow only 2-3 crops annually like wheat, Bengal gram, soyabean and groundnut but now we grow 7-8 crops in kharif season while 18-20 crops in rabi season. By growing multiple crops, we always have security from 100% loss. In addition, pest and disease attack reduced magnificently. If climate change affected one crop, then other crops ensured we earned well. As a result, our farm crop loss reduced, production cost minimized and revenues increased. In Kharif season, primarily we grow soyabean, seasame (til), green gram (moong), maize and urad along with vegetables namely tomato, chili and onion. In Rabi we grow garlic, onion seed (kalonji), Isabhgol, methi, flax seeds, jeera, quinoa, chia etc. 30 varieties of mangoes are cultivated in our farm. All these trees are developed from best quality seeds. Every season, we buy few select mangoes from the market and if the fruit is tasty then it is grown in the farm through its seeds. 2 acres has mangoes trees and teak trees on the farm border. We also have 1500 trees of orange in another 5 acres. Farming is done in mechanized way to reduce the labour cost. To store the rainwater we have two ponds and regularly recharge our borewell. Seeds used in our farm are native seeds that we have been keeping with us for past many years. We pull out high-yielding seeds every season. I have observed every season nature does some changes in the alliance with the existing environment conditions and gives some new variety to the farmers. If the farmer is observant he shall be able to identify the new variety and make best use of it. We monitor our farms very closely. Entire farm produce is organic hence sold at premium prices through SAKET organization. We do not find any difficulty in selling the produce. Medicinal crops are sold in Delhi market, wheat and flax seed in Bhopal. By and large we fix the price of all our products ourselves with few exceptions. We ensure to fix the price in a way that neither the buyer should find our prices high nor we should make the loss. We take our production cost in account and add little profit to fix the selling price. It is certainly independent of market prices. Sometimes there are few exceptions too such as garlic. Demand of garlic is not so high but production is bumper so it gets sold at market price just like conventionally produced garlic. Nonetheless it is never a loss for us even when we sell it at market price although profit reduces. Farm prospects also brightens by trying new crops that are high in demand and less in supply. We are very particular about this strategy. Three years before we tried growing quinoa and got the success while this year we grew chia seeds on trial basis and results attained are prospective. In just ¼ acre we grew 150 grams’ chia seeds. The production know-how was acquired from internet. It is a fantastic crop that grows quite independently and is absolutely free from any pest or disease attack. It grows 3-4 feet high. We got 20 kg production that was sold at Rs.1000/kg. Being rich in medicinal value it is in high demand in pharmaceutical industry. Our next trial is with fig trees. If successful we shall set up the orchard as fig fruits are easily sold at good price even at the local grocery stores. These trials in farming always keeps our enthusiasm alive in farming. Even if an experiment fails once, we continue the process because we are sure to get success in following attempts and then the loss is recovered in double amount. In this way our farm revenues increased and we are happy to live life with complete happiness. I completed my studies in the year 2000 and since then engaged in farming full time. 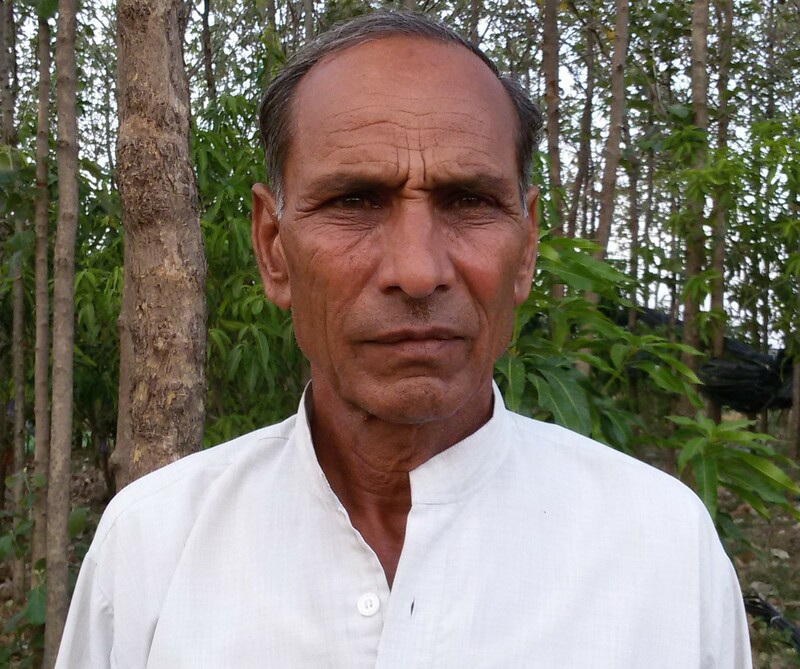 I am contended to the core to be a farmer and wish our future generations too become farmers with pride! 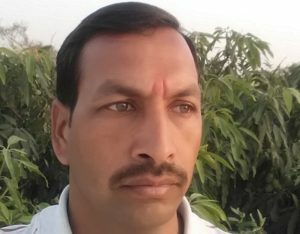 Next PostNext Nitin Kumar Kajla – progressive farmer Meerut, Uttar Pradesh.